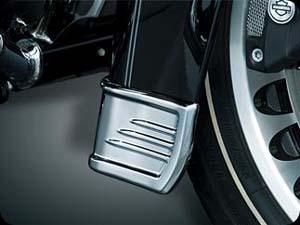 FT-31: eGlideGoodies adds to its extensive line of accessories for the Harley FLH with an all new Front Fender Accent. 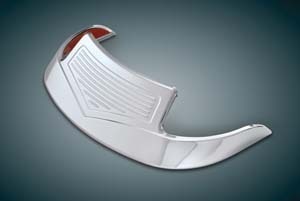 This Front Fender Accent brings a nostalgic look to the FLH with this form fitted contoured ABS Chrome Front Fender Accent. 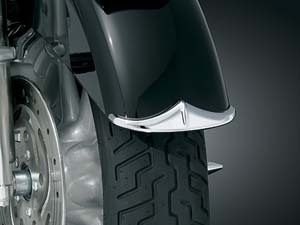 Easilyattaches with double sided tape to front fender of the 1988 and newer Harley FLH models. 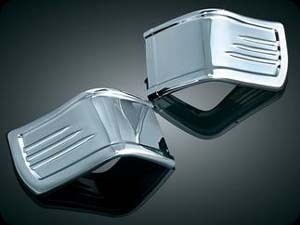 ABS Chrome, For Harley FLH 1998-2015. 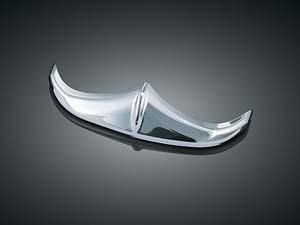 7794: Go from down & dull to classy & chrome with our new Front Fender Skirt Accent. 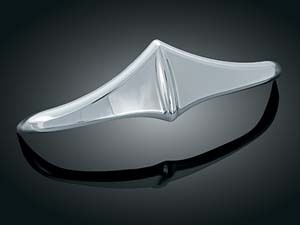 It chromes the lower portion of your front fender without having to disassemble or even fumble with any tools. 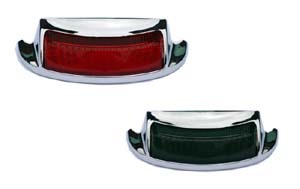 Made from chrome plated stamped steel, this new accent will add class thats made to last. Fits: ’80 - current Electra Glides, Tour Glides, Road Glides, & Road Kings with original equipment front fender skirt & ’86-’08 FLSTC Heritage Classic, ’86-’90, ’06 FLST Heritage, & ’93-’96 FLSTN Heritage Nostalgia or Special with original equipment front fender skirt. 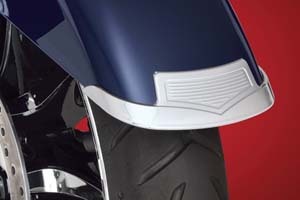 The clean, unadorned fenders on the Road Glide, Road King Custom, Street Glide and many CVO Screamin' Eagle Touring Models look sharp, but could use a little flash. 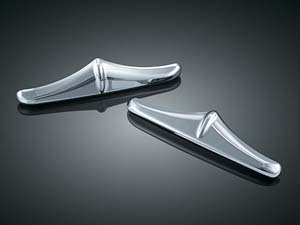 Our classy fender tips are the perfect chrome complement to these clean fenders. 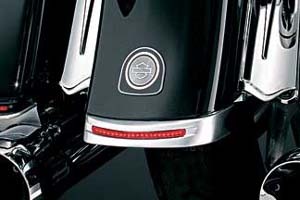 Complete the look with the matching Rear Saddlebag Accents. 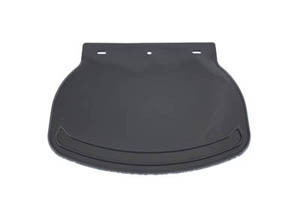 MF-01: Rubber plain mud flap is black. 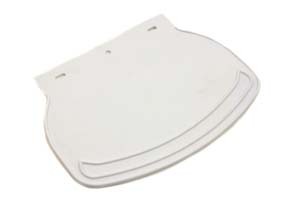 Stock type for front or rear fenders. 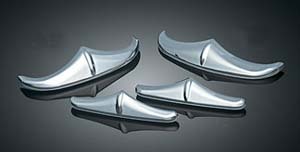 Fits: All models for front and rear fenders. 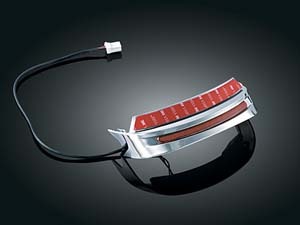 MF-02: Similar to above but in white.